Don’t worry, it’s still easy to get to us after those long nights spent in your tent under the stars. Please, please, please do not take Highway S into Kewaskum from the State parks. While it still possible to get through town that way, you will find it to be very difficult and dangerous. Instead, head back to Dundee and take Highway 67 South back to Highway 45 South. Highway 45 will bring you right to our doorstep and the sweet smells of fresh baked bread and strong coffee (welcome scents to most any camper ;-). Main Street in Kewaskum is closed to thru traffic but all businesses are easily accessible via First Street (which is just one block north of Main). We are located at the corner of Highways 45 and 28 (aka Main Street). 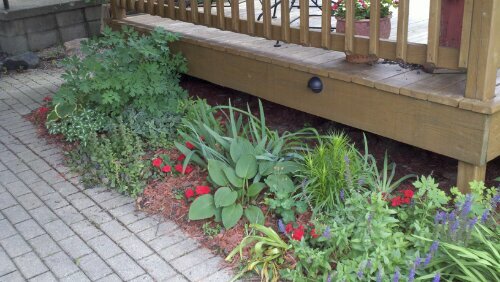 There is ample parking behind our building and look for our deck and back door to make it even more convenient. 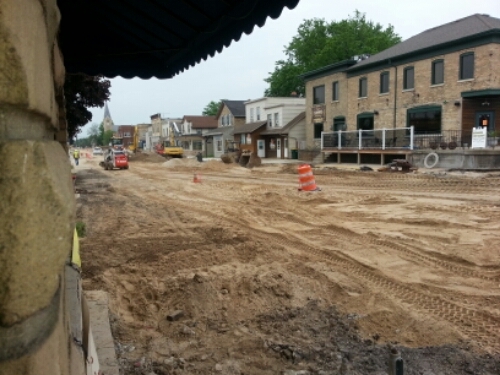 Although the construction looks extensive, do not let that deter you from making your yearly pilgrimage into Kewaskum. We are easily accessed, as well as many other great stops in town. Make it a full day: start with coffee with us, spend time wandering the massive General Store Antique Mall across the street, take a bike ride along the Eisenbahn Bike Trail (which passes right through town), cool off with a lemonade and sandwich on our deck and finish with candy to take home from the Candy Tree just down the road! Kewaskum has so much to offer it’s visitors. Don’t let one wrong turn ruin a fun filled day in a quaint little town. See you soon, and enjoy your Fourth of July weekend! 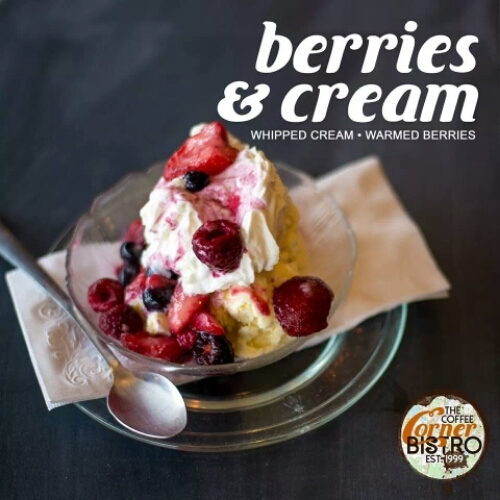 Thanks to the amazing work of photographer Jamie Gellings we will very soon be getting our new sundae menus up! Not only does this quartet look fabulous but they taste amazing too. 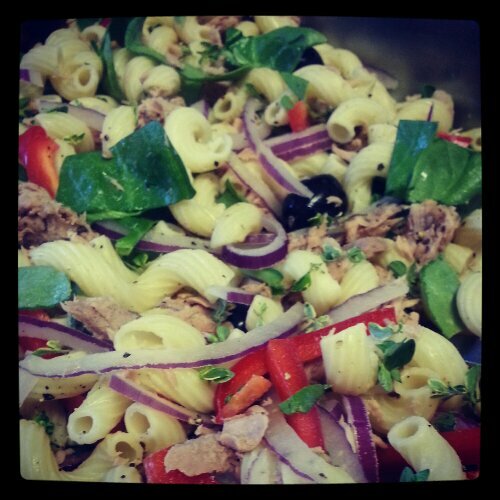 We are all about fresh ingredients and whole foods. Our sundaes live up to thay too. Homemade chocolate sauce and Kemps Ice Cream delivered fresh each week. You can be sure to get a great scoop every time. If you’re in the mood for something a little less decadent but still palate-pleasing get a classic sundae. Just ice cream and your choice of chocolate or caramel sauce. We’ve kept our sizes manageable so you won’t feel like you ate a second meal after just finishing your dinner. Keep in mind we also have shakes, smoothies and all the iced coffee drinks you can imagine. Coffee drinkers and non-Coffee drinkers alike will find something to love on our menu. Our options are so endless we try to pair choices down so as not to overwhelm you. If you have a hankering for something not on the menu just ask! We love to be creative behind the counter and we’ll help steer you in the right direction. Sum-sum-summertime. Such a great time in Wisco!! Let us help you enjoy it to the fullest in 2014. Tonight I wanted to write a post about our newest addition…SUNDAES!! 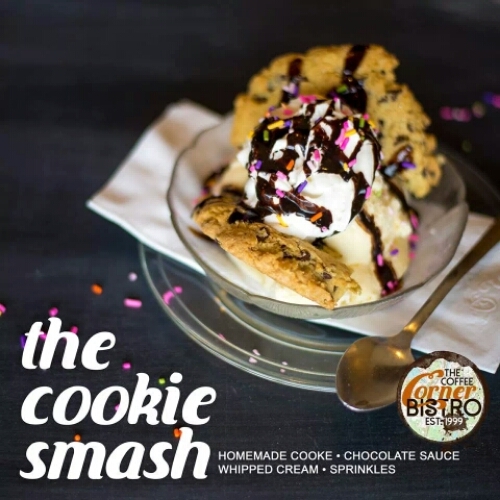 Starting next week we will be serving four specialty sundaes: Mocha Bean, Turtle, Berries and Cream and Cookies Smash. All of them are delicious. 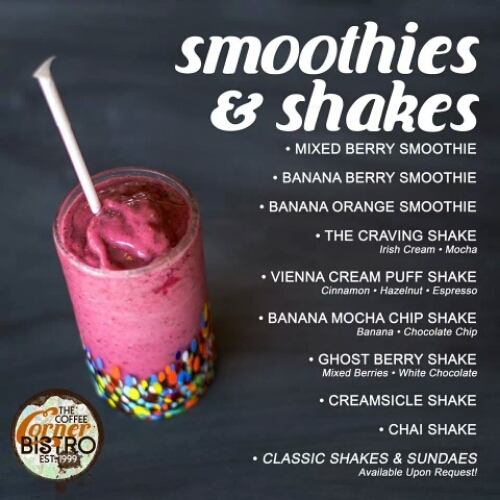 We will also have traditional caramel or chocolate sundaes, hand-dipped shakes in assorted flavors, three smoothie flavors (mixed berry, banana berry or banana orange), and our ever-popular Craving and Cream Puff shakes. Since we’ve always had all the ingredients on hand to dish up all these yummy treats, we thought it was a natural progression for our menu offerings. Did you know we make our own Mocha Sauce? We do! It is not only exceptional, it is also dairy free, gluten free and vegan! We make this sauce about every other day from a premium cocoa powder. 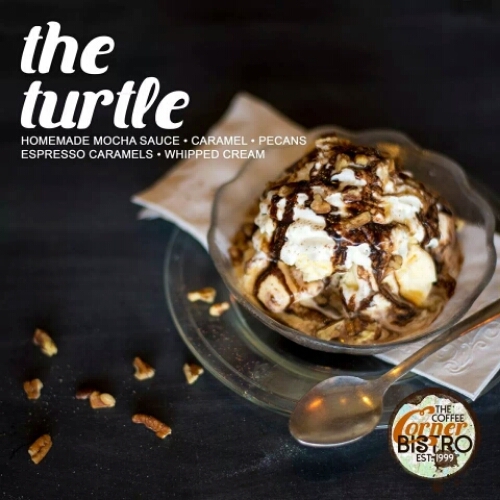 Our mocha sauce is as awesome in the mocha latte as it is over ice cream or blended into our Mocha Java Chiller. We also sell an assortment of coffee themed chocolates such as Espresso Caramels, Mocha Beans and Chocolate Covered Biscottini. These sweet morsels of goodness make lovely additions to our sundaes as well. Have your tried our homemade Chocolate Chip Cookies? You should…we have a new all butter recipe that couldn’t be better. The Cookie Smash Sundae comes with one of them broken in half and “smashed” into your chocolate sundae then topped with sprinkles and whipped cream. Oh my Yummness. Our hope is to entice you to stop by this summer with your friends or family, kick back and enjoy a treat that it’s coming from a kitchen filled with love for what we do. Seriously…where else can you go and get so much homemade goodness?? Here it is, folks. In all it’s glory…Citron Tea! I know many of you have been asking about this heavenly Korean tea and I thought it warranted its own special post. If you aren’t yet familiar with this drink, let me introduce you! Preparation is very simple. Mix 2-3 teaspoons per 8 ounces of hot water and enjoy. 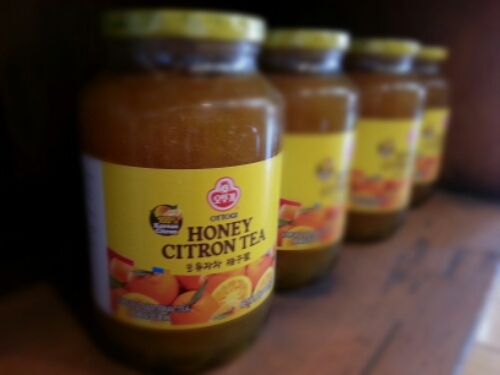 Citron is a Korean citrus fruit that is high in Vitamin C. I think of it as a mix of lemon and orange. The bottom of your drink, once prepared, is full of lovely rind that has been softened and tamed in flavor by the added honey found in the tea. Some people like to eat that rind, and some like to leave it. Citron Tea is great for that cold or cough you just can’t seem to shake. It’s also refreshing as an iced drink. To make it iced just dissolve the tea in a small amount of hot water and top it with lots of ice. Easy-peasy. And totally delicious. We have a limited supply right now but we will be getting a larger shipment in the next few weeks. Come try some sunshine-in-a-cup today!